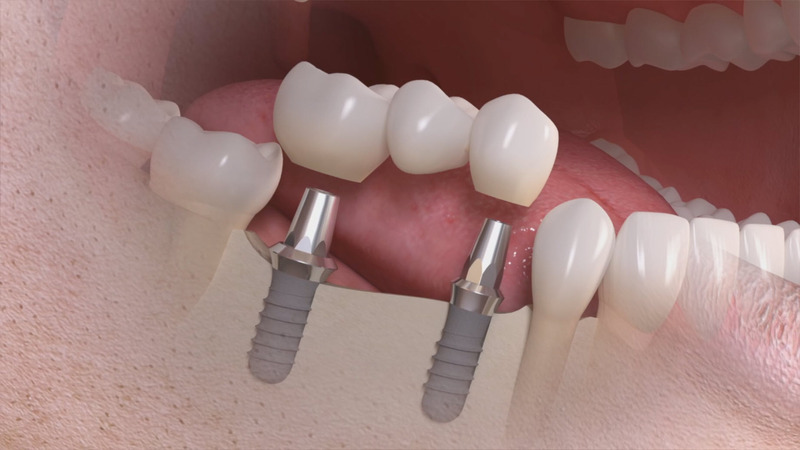 Placement of the dental implants that will be used to support your replacement teeth. Temporary teeth can be placed while the dental implant integrates with your natural bone to form a strong foundation for your replacement teeth. Most people return to work the next day, and any discomfort can typically be treated with commonly used pain medication. Placement of the abutments, or a small extension that will help connect your replacement teeth, on top of each implant, if needed. Placement of a fixed, implant-supported bridge, or custom-made replacement teeth (crowns).